I tried the search function but its broken ATM. 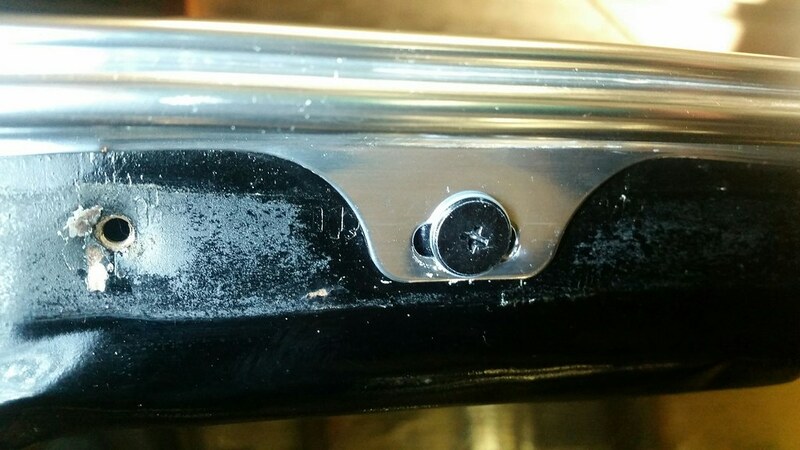 On cars with Fisher T-Tops, the front and rear of the door opening has some metal weather channel seals that screw to the body that hold the weather stripping. Since my car did not come with them i acquired the proper seal channels. My question is if someone has information or pictures on how they install or what they look like installed? For the front one is the channel centered in the A pillar opening or is it pulled flush towards the front of the channel towards the outside body of the car? 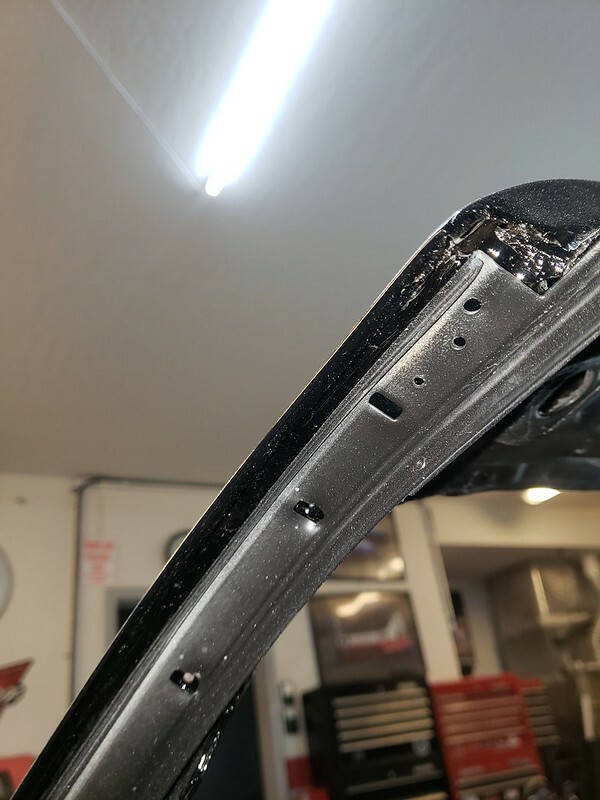 Same thing for the rear channel, is it centered in the channel. if centered how much step back does the shiny chrome front edge sit back from the outer body edge? Are the screw holes not there? 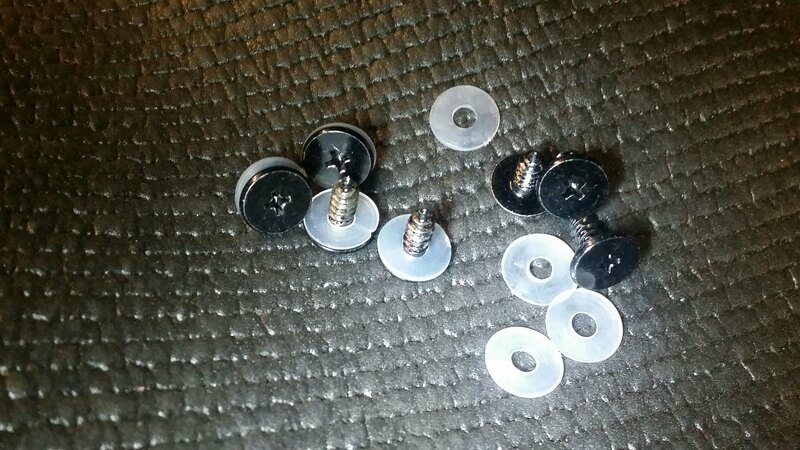 The screw holes are there, but there is inherent slop in them left to right about 1/8 of an inch both ways as the screw holes are really a slot. 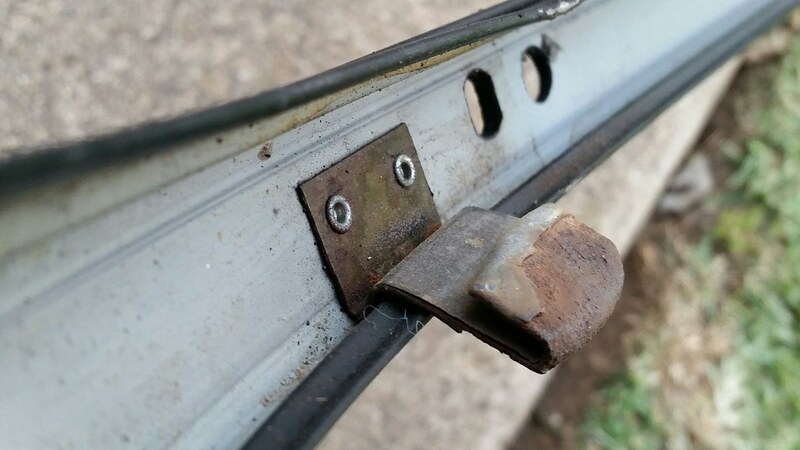 I just need to know if they front channel when installed without the weather stripping is touching or set back 1/16th to 1/8th of an inch from the pillar metal. I’ll look and get you a pic.. Thank you i did not realize the B billar ones were set back that far from the outer edge. I will photograph my fronts to show some of the questions i had for them. You won't believe this, but I went to the Norwood reunion with Nick Seslar, and a guy who worked at the factory talked to me about that. 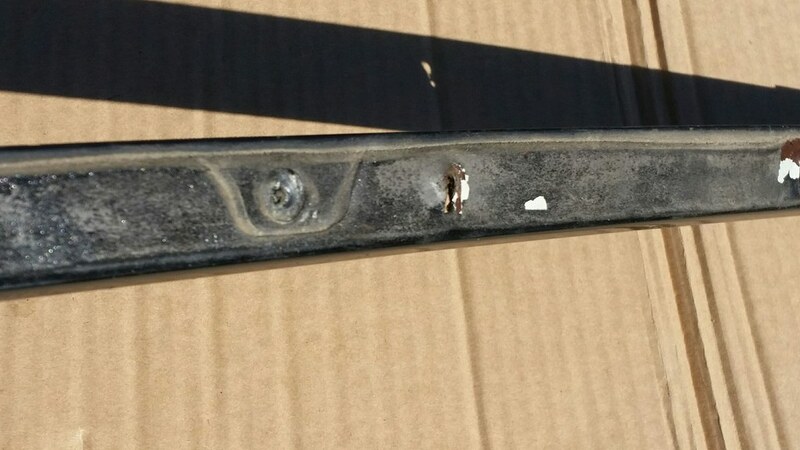 He said they pulled the weatherstrip channel "outboard" when they put the screws in. It is tighter against the glass that way. Everybody that came by, I asked them what they did. Of course, it's not a T-top thing, but any Firebird thing, to hold the seals. Of course, making them harder against the glass may not be ideal but start there and adjust the glass to it. Here are the pictures of my front A pillar option. From what i gather the consensus is to push them all the way outward to the front edge which should make the seals tighter to the glass. Here is what i meant about having a few options as to how far to move the bracket in or out. The holes at the top look like it was previously set more towards the back and not the front from the original factory install. With all screws in place and started until touching the channel, pull it into place and then start in the middle of the curve. That will pull each end towards it. I guess when setting it up the first time it doesn't hurt to test fit the seal dry for any issues before adding a bead to the channel floor. Don't forget to seal between the channel and roof also. I wrote up an article based on factory diagrams and instructions but never posted it, can shoot a pic or two if it helps. That would be great. 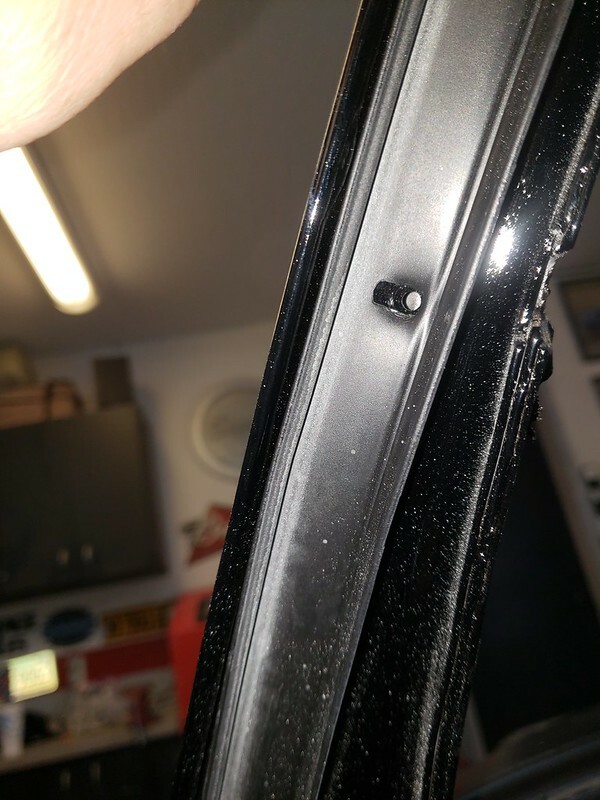 My car didnt have seals in it or the front and rear channel when i bought the car so i do not have anything to go off of what it looked like or should look like, where there was seam sealer added, etc. Oh, yours is for a T-top, makes most of my pics and info redundant, and adjusting to the curve. Make of these what you will. 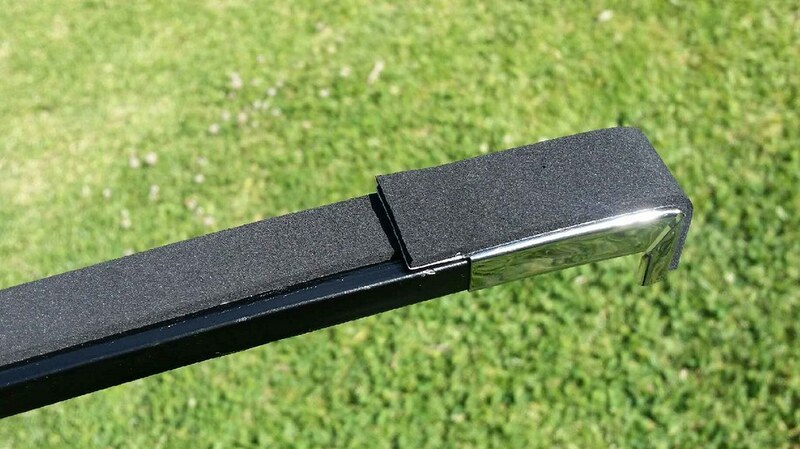 Although GM manuals called for a 'medium-bodied sealer' in practice Fisher used a flat adhesive-backed roll of sponge rubber applied to the back of the weatherstrip channels that would compress to the roof and seal but not hold water. You can see all the roof joins left in the seals, as well as screw heads for drip rail trims that they sandwiched. For hardtops and probably Hurst top cars, there was a sliding stainless corner piece to lock the channel into the B pillar. These also had a thinner flap of sponge rubber, similar to what a Fisher top car would use also. I used a matching-size neoprene sponge rubber that is closed-cell and does not hold or soak up moisture, adhesive backed in a roll. It compresses to nothing but springs back. 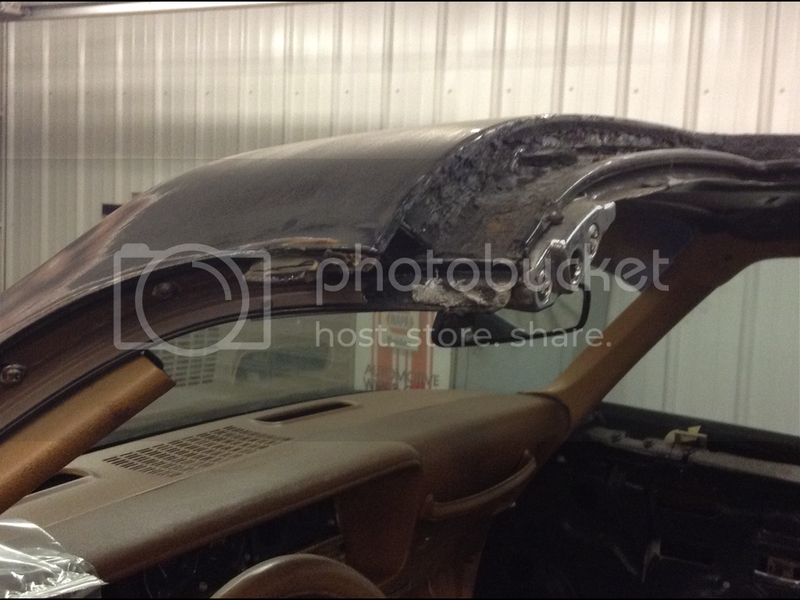 Here's a mockup of my B pillar piece with wider but thinner flap to secure when in final position. In the factory manuals it mentions both adhesive-backed weatherseals and the use of adhesive to be applied as a sealant. 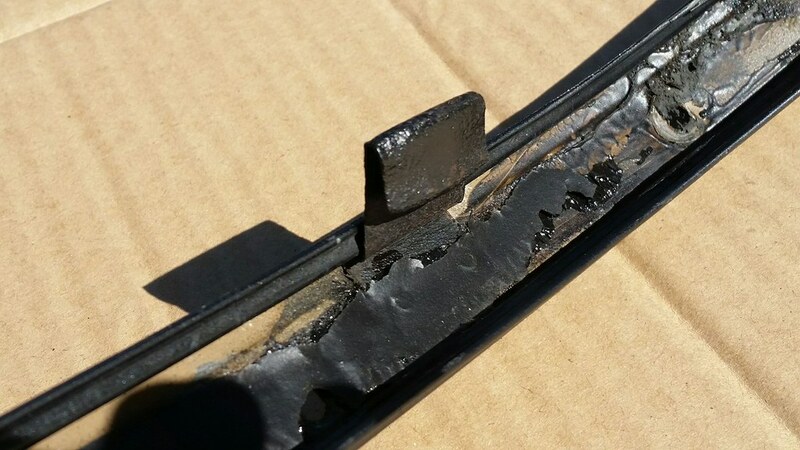 This possibly explains why some channels are fairly clean and other shows remains of black sealant residue. Here's 2 used tracks I had, the latter has had several sets of seals and probably just as many uses of sealant! 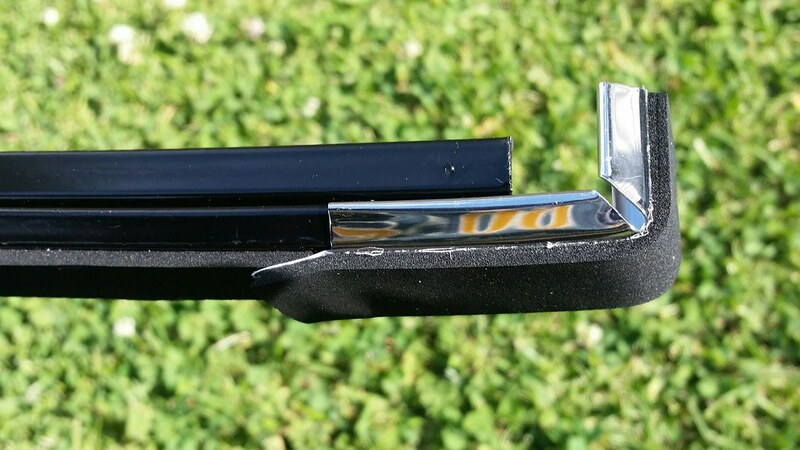 Most that use the 2 main body seal suppliers will need a rubber adhesive of some sort to fix and seal into channel. I recall another brand that offers the adhesive-backed version that wouldn't but have heard no reviews. 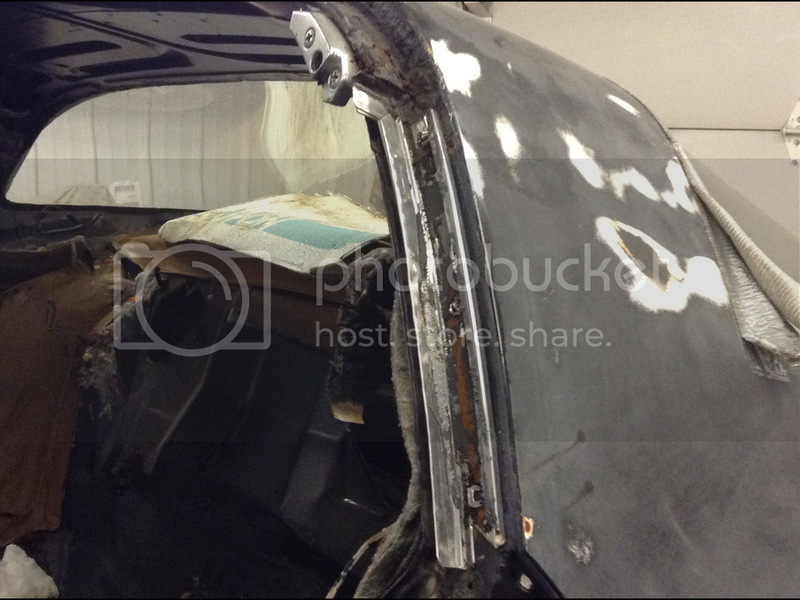 This is the rear of a B-pillar stainless channel. These also had to be sealed to the body or moisture would simply go behind them. Same as the other channels with use of sponge rubber roll. I also restored mine this mine but seemingly have no pics. The fitting of drip rails would require another strip along them as well so no layer is left unsealed. 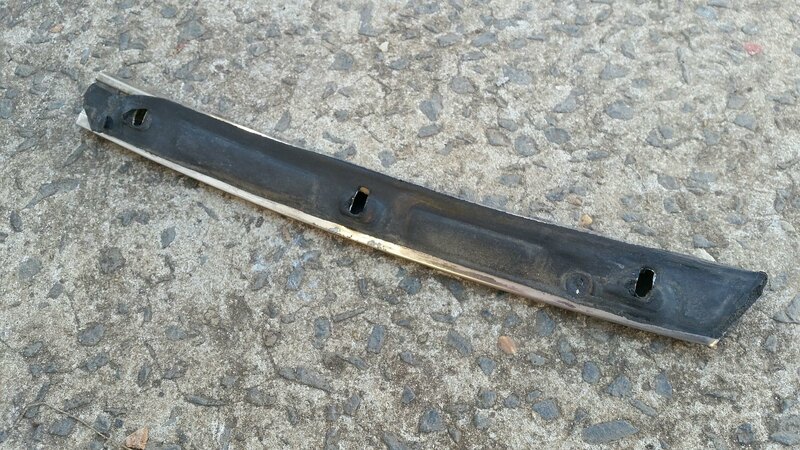 As with the other channels, the screw holes being used are simply opened up with a blade to show hole. Not all holes are used so some are left with sealed over them. Here's a selection of original channel screws. They come in black or chrome, and neither matter as they have seal over them. The clear nylon washers are for use on the aluminium drip rails under the main channels and seemed to be hit and miss as to if cars had them. 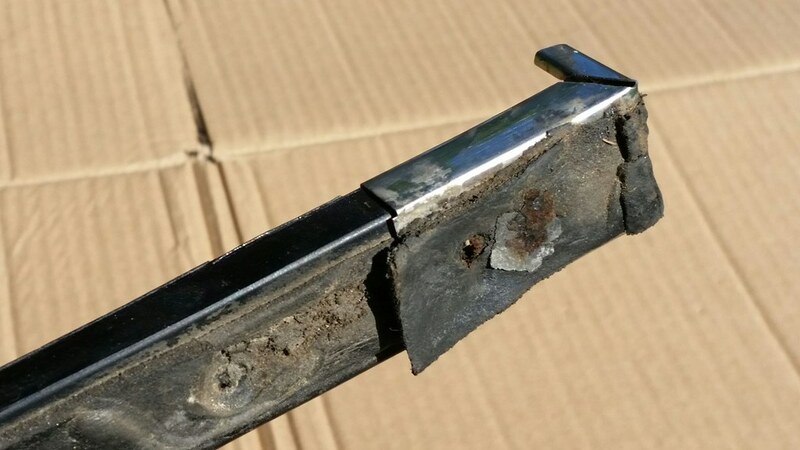 They don't really seal anything as holes are slotted, but can help isolate steel screws from alloy pieces, but also twisting of the rails as the screws are nipped up as they can bite and certain areas of the drip rails are more flimsy than others. This area doesn't apply to car above, or most with T-tops. Thank you for that. I have the new foam seals to go behind the channels and the screws to attach them. I will just try and test fit the rubber seals and see where they fit the best and adjust as i go. If i see any areas needing seam sealer under the rubber seals i will add that as well or backfill where i can.